Recently, our own Hank Phillippi Ryan mentioned my fascination with all things Sherlockian. 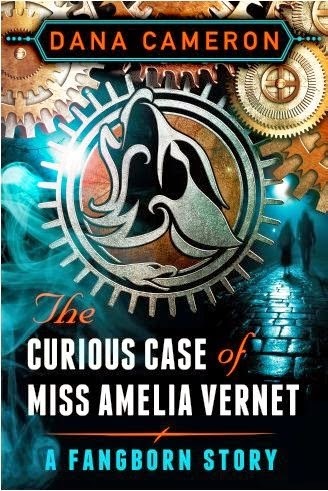 Last week, at the Femmes Fatales blog, I wrote about how I came to write my Sherlockian pastiche story, “The Curious Case of Miss Amelia Vernet, ” and the challenges ofcombining Arthur Conan Doyle's world with my Fangborn urban fantasy 'verse. Today, I write about spies and Sherlock Holmes's (arguably) smarter brother and how they might fit into my Fangborn universe of heroic werewolves, vampires, and oracles. 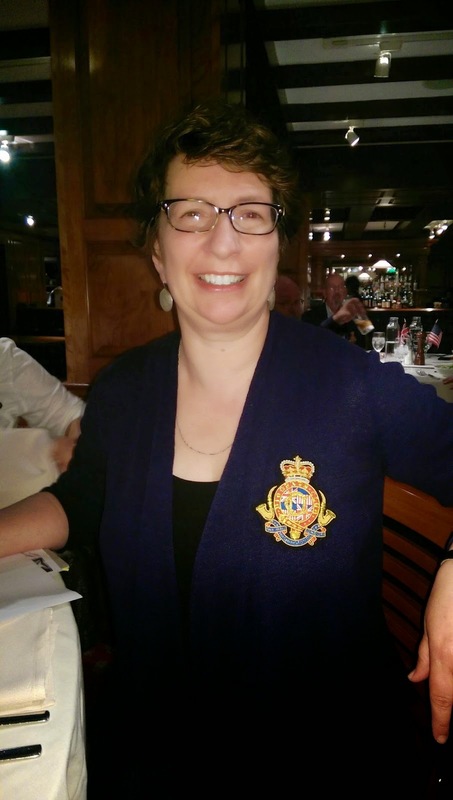 Diogenes Club of Washington, D.C., a scion society devoted to Sherlockian pursuits and named for the private club that Mycroft founded (here I'm sporting my club badge). My interest in Mycroft also stems from my infatuation with spies and spying. It was the glamorized, mythologized fictions that spoke to me first (most of my Barbie dolls were chemists or spies), but it was a paper I did in high school that sealed the deal from the non-fiction point of view when I wrote about the Special Operations Executive. The SOE was formed at the request of Winston Churchill in 1940 to spy on and sabotage the Axis powers in Europe; the SOE was the foundation of what would eventually become MI6. Because of their irregular and “ungentlemanly” tactics—commando skills, criminal techniques, and all-around dirty fighting were their preferred methods—and their headquarters in Baker Street, the SOE referred to themselves as the Baker Street Irregulars. They took their name from the original Baker Street Irregulars which, you probably know, were the creation of Arthur Conan Doyle. Sherlock Holmes needed a covert network of spies to aid his investigations through the mazes of 19th-century London. He paid homeless children for their information and their ability to move about unseen; they were, sadly, all but invisible in the streets of the capital. Because of these connections—Mycroft's important role as a clearinghouse of information in the government and the children's use of their criminal skills—other fiction writers have suggested that Mycroft was actually the founder of the British Secret Service and that the “M” of James Bond fame refers to his name and was passed down as a title. In my short story, “The Curious Case of Miss Amelia Vernet,” I combine the world of Sherlock Holmes and my own Fangborn world of superhero vampires, werewolves, and oracles. Their own covert activities—secretly fighting evil and protecting humanity—made that a natural avenue for me to explore while writing about Sherlock's Baker Street Irregulars. Mycroft's role in the British government made me wonder what Britain's official stance on the Fangborn would be and his “omniscience” made me wonder what he knew about the hidden history of the Fangborn and their powers. Finding those connections offered me endless fun mashing up these two worlds. So, Reds and readers: who is your favorite Sherlockian character? Favorite story or adaptation for the screen? DEBS: Dana, so jealous of the badge! But LOVE the idea of Mycroft being the originator of M!! You can certainly imagine that Mycroft in Mark Gatiss's portrayal in Sherlock. As for favorite characters, I think mine would have to be Watson as he is written in the original Conan Doyle stories, and as he's played--very true to form, I think, by Martin Freeman in Sherlock. REDS and readers, what about you? Favorite Sherlockian character? Doctor Watson, a perfect colleague/foil for the detective. Favorite story? That's a tough choice, but The Hound of the Baskervilles has always been a favorite . . . . So here's the part where I have to confess that this mystery lover hasn't read much Holmes at all. I keep thinking I need to fix that, but it hasn't happened yet. As a result, I don't have a favorite supporting character. Heck, I don't know who half my choices even might be. Fangborn and Sherlock - brilliant pairing! I love the new stories on PBS with Benedict Cumberbatch as a modern Sherlock... though I usually have to watch each episode twice to get all the sly clues and innuendo. And I was happy to see that a U.S. Circuit Court of Appeals in June of this year found that Sherlock is in the public domain, freeing writers to pen Sherlockian stories without having to seek permission and pay the Doyle estate. Sherlock and werewolves sound like an interesting pairing. I have a soft spot for Dr. Watson and, like Deb Crombie, I think Martin Freeman does a fantastic job. And I love the modern portrayal of Sherlock by Benedict Cumberbatch (but I have a nostalgic fondness for Jeremy Brett). Favorite story? Oh dear. Either Hound of the Baskervilles or Reichenbach Falls (and I'm thinking that isn't the exact title - I blame undercaffeination - and staying up to finish TRUTH BE TOLD). Hallie, the Conan Doyle estate asserted copyright for years, and I could never find a client with the money to take them on (copyright is federal law, so itis a federal case-- and those start at $10,000. I thought it was highway robbery, but whenever the the estate made a claim, the publishers told the authors they wouldn't finance the suit and the authors couldn't afford to either. So authors paid the tithe and gratefully acknowledged the estate on the back of the title page, because 90% of something is worth more than 100% of nothing. Copyright claims were based on a 1933 decision and valid only for part of the copyright and ony in the US, but nobody could/would finance the litigation. Oh Dana, I cannot wait to read this story..although I am swooning with envy over the idea. Favorite SH thing..hmm. I especially loved the first episode of the new Sherlock. And the Seven Per Cent Solution! (Remember? No backhand!) And remember you had to watch untli after the credits for the extra scene? 1. The plaintiff writer is also a lawyer himself. 2. The case was decided on the same basis I have been putting forth for years-- that you can indeed use all the characteristics of Holmes in the stories that are in the public domain, you just can't add those characteristics that round out Holmes in the stories that are still protected. 3. The Supreme Court declined to hear an appeal so the 7th Circuit ruling stands. 4. The 7th Circuit gave the plaintiff his attorney fees essentially because the Doyle estate had been strong-arming people for so long. Deb, I adore Martin Freeman in the role of Watson; he's showing everything admirable in the character! Hallie, yes! BBC's Sherlock! Mr. G won tickets to see the NYC premiere of the second season and it was an amazing event. And yes, I met Benedict Cumberbatch, Stephen Moffatt, and Sue Vertue! Hank, I loved "Young Sherlock Holmes" for the extra scenes at the end! "Young Sherlock Holmes" was a date movie for me. I married my date, so I have fond memories of the movie. I am enjoying the portrayal of Mycroft in the new PBS series. He is indeed a fascinating character. A coincidence: I recently judged a writing contest for a regional publisher who puts out a themed anthology set near Reboboth Beach. The collection was just released. In the story we chose as winner, Holmes and Watson are hired by Howard Pyle to come to Rehoboth to solve a case about stolen artwork. The author is a member of the Sherlockian Society here. Fun story! Dana, your new story sounds wonderful. Ramona, the one in the anthology sounds intriguing, too. I plan to check both of them out! Last year, I adapted "The Adventure of the Blue Carbuncle" into "A Sherlock Holmes Christmas," a musical we presented at my church. Some of my favorite characters come from that story, including the salesman who calls Holmes "cocksure" before giving him the information he needs to tract a goose and Mr. James Ryder, the attendant at the Hotel Cosmopolitan. Oh, I loved Young Sherlock Holmes. I'd forgotten about that. Such good suggestions from everyone. And Dana, just bought the story. Going to read right now! Oh, and Mark Baker, you should read the original Doyle stories. They are very different from the adaptations that were done for years for movies and TV. Watson is not a bumbling idiot, for one thing! Ellen, I love Irene Adler too! SCAN has some of the best characterization to me, because of Irene. Paula, well done and brava! Ramona, neat! You'll have to tell us the name of the collection. Mark, Debs is right. Watson is often under-served by many adaptations, but as ACD renders him, he's the very soul of the best sort of British gentleman: brave, smart, loyal (and a bit of a lad!). Love all of the above! The BBC Sherlock is superb, but I also have a soft spot for 'Elementary'. Not quite so intense, but still off-beat. I am intrigued by the BBC's Sherlock but I have to confess that I never warmed to the novels. Sherlock is such a superior know-it-all and Watson far too willing to please him and be told he's an idiot. I have always love Irene Adler, probably because we know so little about her. Can't wait to read the short story, Dana. It's time for another Fangborn fix. Poor Watson was turned into a bumbler in the Basil Rathbone versions of Sherlock Holmes. But I always pictured Basil as the perfect Holmes in looks. Jeremy Brett too. Did you ever notice that in most of his cases Sherlock is avenging the death of his client rather than solving his problem? I'd think twice before hiring him. My regards to Irene Adler, the clever woman who outwitted Holmes. Hello Dana! What fun to mash up your universe with the Doyle universe. Irene Adler always intrigued me. She was the only woman, it seemed, who Sherlock admired. Let me admit that I am only a recent admirer of Sherlock. Until a few years ago, I really didn't like him. What cracked it? Laurie R. King's Mary Russell series. Then I loved Robert Downey, Jr's portrayal. Then of course the BBC's version is beyond fantastic and an interesting twist yet faithful to the canon. I even haven't minded Elementary. Hi Dana, welcome to JRW! I'm not a Sherlock groupie either, though I dearly admire your imagination. Sheesh, my Barbies were Barbies playing house and looking for Ken--not chemists or spies! you were born to write wonderful genre-bending stories! Joan, I think my favorites are the stories with Mycroft and "A Scandal in Belgravia." And PK, yes!!! to Laurie King's Mary Russell--love those! Rhys, I know what you mean; on a recent re-read, I realized SH sounded at times much like a show-boating schoolboy, slang and all. Carole, I love the idea that "Elementary" made Watson a woman--just wish they took it further! Pat, right--they are more often about justice as SH interprets it than murder! Thanks, Lucy and Kristopher! And Kris, you'll be pleased to know that I'm working on the copyedits to HELLBENDER, the third novel, right now! 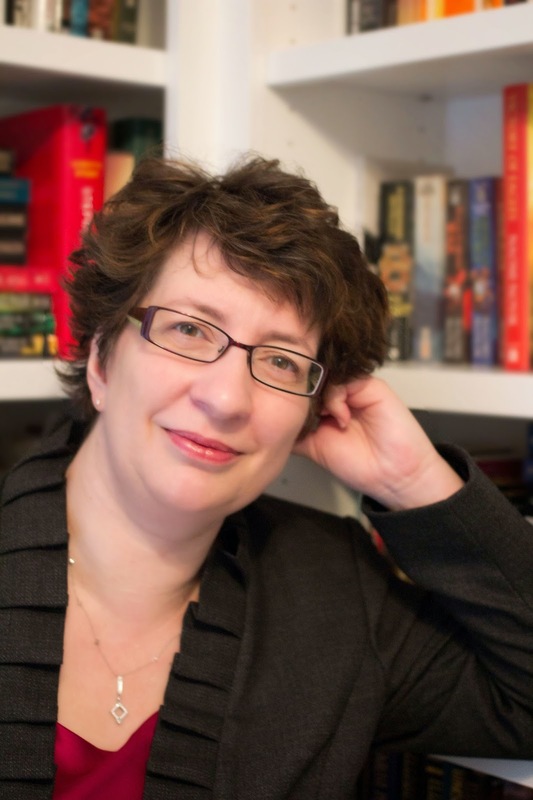 You know, I read and read and think my reading vistas are so expansive - and then, I come across someone (in this case you, Dana) and wonder what is wrong with my reading radar that you have eluded it! I love mystery and Sherlock and archaeology and spies and mythology and all! You are now topping my TBR list! I'm not sure that I can select a favorite Sherlockian character or story - but, lately when I think Sherlock, I think Benedict - and Gatiss's Mycroft is fabulous! Perhaps you can answer a question for me: In the last season of Sherlock, one of Mycroft's government people, while discussing Sherlock, mention something about "the other one" (I'll have to go back to get the specific episode and wording). Was there a third brother? Thank you for a very inspiring visit! I am definitely a fan of Sherlock Holmes, and I recently read The Adventures of Sherlock Holmes with my granddaughter reading it, too. Although a fan, I hadn't read as much as I wanted to or should have, so this read along was great for me. My clear-cut favorite Holmes, and one that I first read many years ago, is The Hound of the Baskervilles. It's one of those few books that I actually have to reread from time to time. Favorite character is probably Holmes, as I see how easily he can read a person by the little clues. Of course, Irene Adler is fascinating, and I so enjoy her in a story. One of my favorite Sherlock Holmes stories is The Boscombe Valley Mystery because it deals with the unreliability of circumstantial evidence and eyewitness accounts. Like PK, I love Laurie R. King's Mary Russell and Sherlock Holmes series. I've been a fan of Laurie's for years, and at the last Bouchercon got to meet her and have birthday cake (her birthday) with Laurie and the LRK Virtual Book Club, of which I am member. I also enjoy other pastiches of Holmes. Lyndsay Faye wrote an excellent one in her first novel, Dust and Shadow. Kudos to Leslie Klinger in his awesome victory over the Conan Doyle estate. One last Sherlock item is that I found myself most pleasantly surprised by the Robert Downey, Jr. Sherlock movie. I love Robert Downey, Jr. and I love Sherlock Holmes, but I wasn't sure how I was going to like the combination. I was so happy when I loved the movies. For me, the most intriguing people in the Sherlockian universe are two to whom we are never introduced: the senior Mr. Holmes and his wife. One eccentric personality and brilliant mind might be a happenstance of nature, but two? There must have been some very interesting things going on at the Holmes residence. Thank you so much, Nancy! And as far as the canon goes, there was no third brother mentioned. Other Sherlockians, however, have speculated there must be, so maybe that's what they're referring to.